The Forza Horizon 2 Demo is available on Xbox One. Here is a little taste of gameplay before the Sep 30th release. Leave a like for more Forza Horizon 2! Forza Horizon is my favorite racing game, so I have been waiting for the release of the sequel. 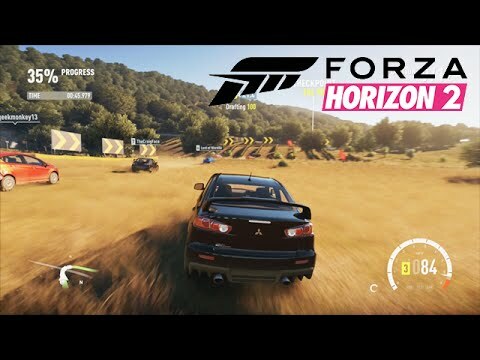 Forza Horizon 2 appears to have a lot of promise with this demo and what I've seen so far, and you can definitely expect content once the full game is released. Be sure to subscribe for more Gameplay Walkthroughs / Lets Plays on various upcoming games! There is also much more co-op to come! Get $5 off GFUEL from Gamma Labs w/ Coupon Code "CANE"